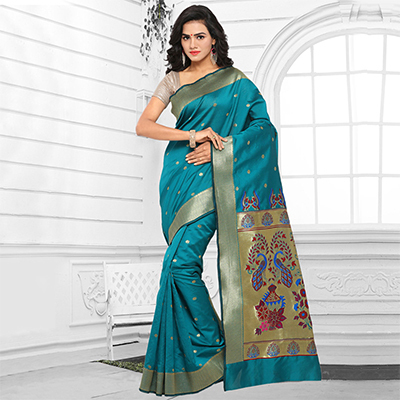 Keep your ethnic looks simple and sober wearing this turquoise blue traditional design saree. 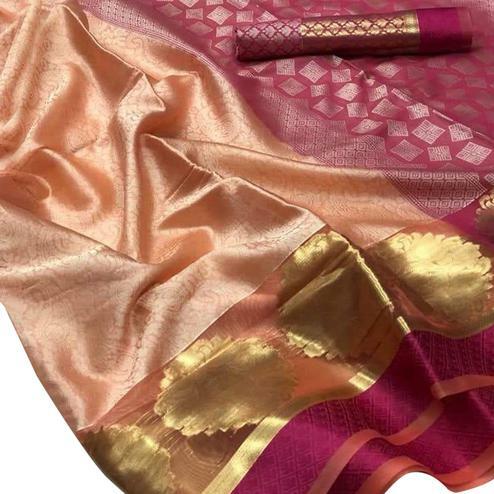 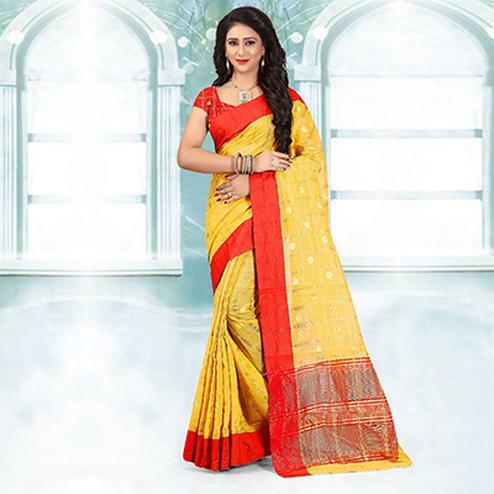 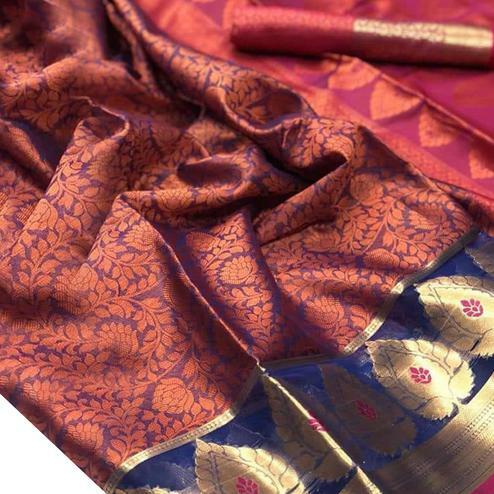 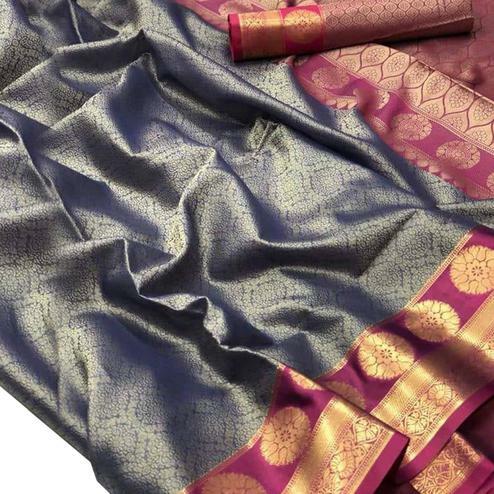 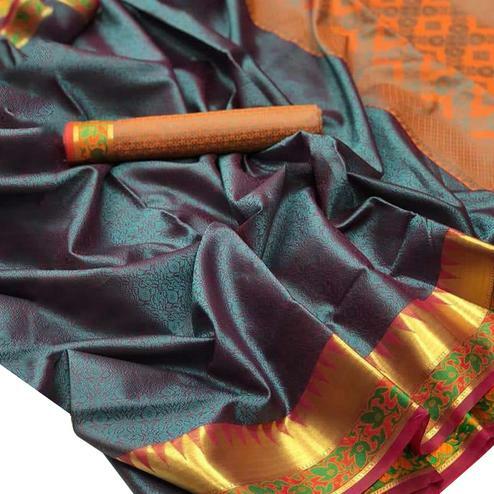 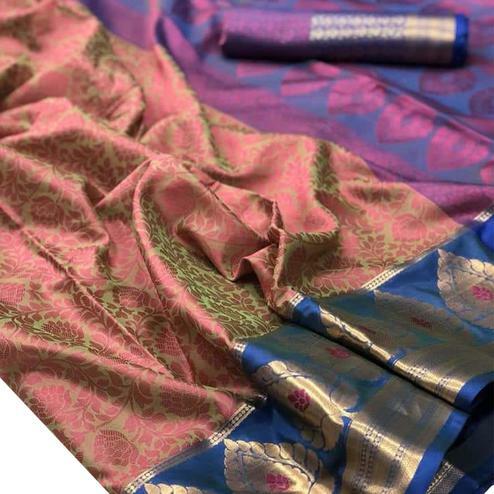 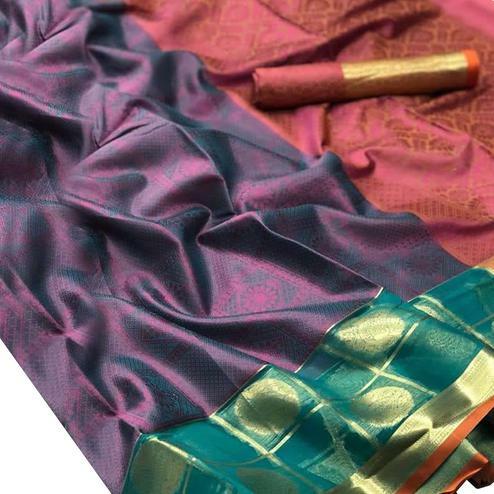 This cotton silk jacquard fabric features small buttas all over body beautiful small temple border and traditional peacock motive woven pallu makes the saree more beautiful. 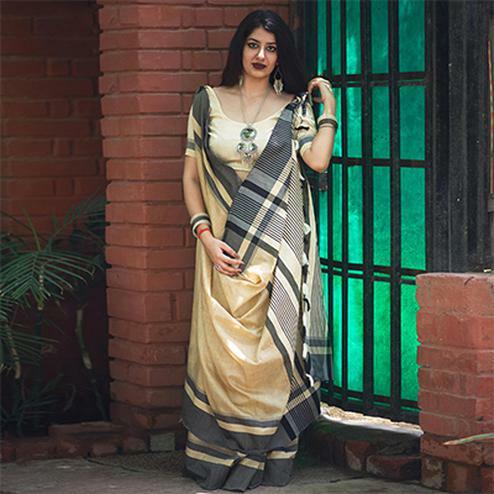 Pair it with classy accessories to make your look more attractive. It's a perfect saree to wear for festivals & functions.